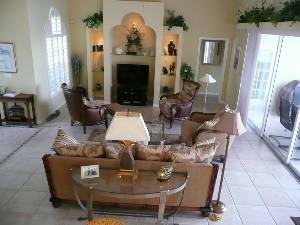 The Royal Palms at Briarwood. 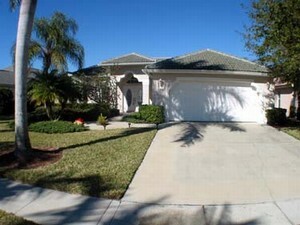 Exquisite 3 bedroom, 2 bathroom lake view pool home. This exquisite, professionally decorated, model home is now available for rental to the most discriminating of tastes. Located in the private gated community of Briarwood, this gorgeous three-bedroom, two-bathroom lake view home has a split floor plan that wraps around the pool and lanai. The home features a living room with vaulted ceilings, an entertainment center, formal dining area and fully-equipped kitchen with upgraded appliances and countertops. Just imagine the view as you walk into the living room and open the three sliding patio doors that overlook the pool lanai and lake. Simply breathtaking!! 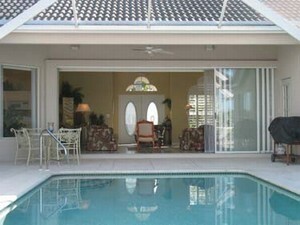 The lanai features an oversized 34’ x 13’ heated pool, an extended area for sunbathing, and an outdoor eating area equipped with a BBQ gas grill. 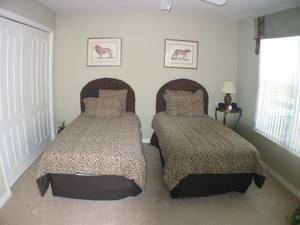 The Master Bedroom Suite has a king-size bed, walk-in closet, and deluxe private bathroom. The master bath has a soaking tub, separate walk-in shower and private lavatory. On the opposite side of the home, the second and third bedrooms share a private, full-sized bath with shower and tub. The second bedroom has a queen-sized bed and plenty of closet space. 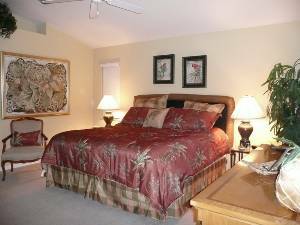 The third bedroom overlooks the pool and lake and is shown in the picture as a den with a pullout double bed. We offer the option of converting this third bedroom into a single or double twin bed upon request. Our home is professionally maintained and cared for throughout the year. Cancellations and Refunds: See contract. Other Fees: Security deposit required. 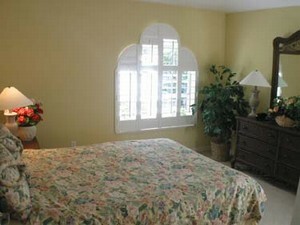 Rates are for 4 persons.We accept Visa and Master cards Pricing based on 4 Adults.